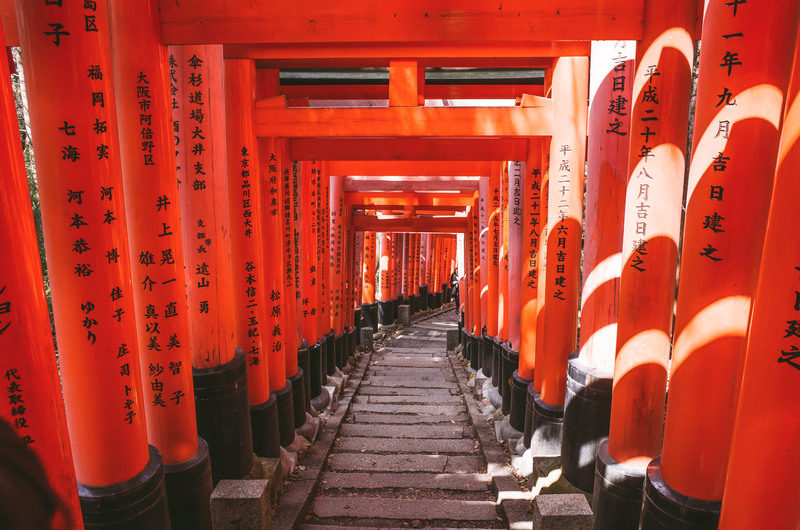 Fushimi Inari-taisha is an orange maze of Tori gates that lead you up and down through various forest shrines in Kyoto. 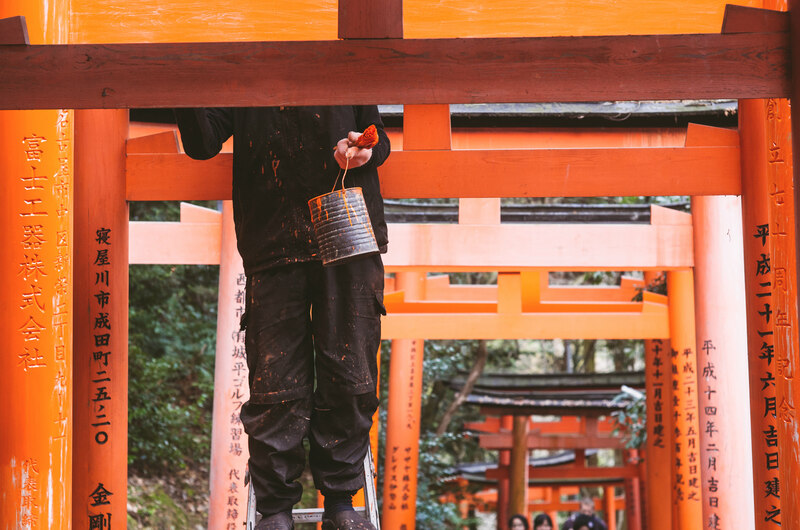 Many of the gates are fading, and this man was engaged in the seemingly impossible task of repainting them with a small brush. It struck me that by the time he would get to the end, the gates at the start would need painting again.